All we need are coffee beans, hair straighteners and a sense of humour on the 07:21 from Greater Bungchip to the smog of London Victoria. Don’t we? Okay, add a bottle of Prosecco or three. Has the world gone mad, or is flighty, intelligent, mildly pragmatic, eloquent, yet totally quirky Honey Hollings in her late thirties, okay, early forties, experiencing life capturing its more cynical side? 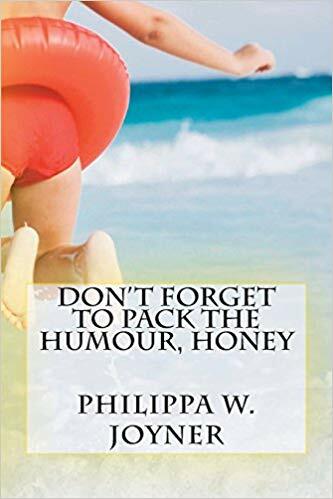 Don’t Forget to Pack the Humour, Honey judges the ludicrous, the absurd, even the incongruous side of humanity as Honey travels loosely around upon the Great British Trains, and further afield. How can Honey have possibly let scenario after scenario pass her by, all of her adult years, without at least noting it? Probably, she might add, because she simply did not have the time. But now, she has. Maybe she’s the only one laughing, but she thought she would give herself the chance to become a novelist. Why not? At least a novice novelist for starters. Similar titles undoubtedly include Bill Bryson and his “Walk in the Woods” with Stephen Katz; Victoria Wood; Mo Willems and Peter Jenkins with a certain “Bridget Jones” appeal.